Cad System For 3D Texture Mapping. Can be sent to customers over the net or posted on your web server. Easy decision making for the customers resulting in improved your sales. 3D surfaces or depth dimension are extracted from 2D scanned images and photographs as the first step of 3D texture mapping. Light source, viewing distance, shading information, etc. are effectively defined and stored in 3DP formats for accuracy. Set of user friendly tools are provided along with the 3D design software for the task of generating grids and selections that can be done with multiple options such as freehand, rectangular, etc. Multiple grids can be created for different segment areas to provide for the mix and match creations. Facilities to edit the mesh have been provided to give the finishing touches to the image authoring so that the final output exacts to your imaginations. The mesh can be rotated, extended, and bent around the edges making your working extremely ductile. Additionally you can introduce new or remove fold marks so that the mapped image zeroes onto the reality. 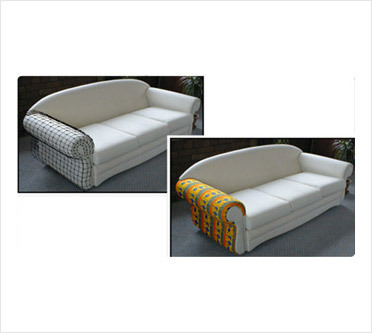 User can scan in photographs / download images of furnishings and models. Now these images are in 2 dimensions i.e. WIDTH and HEIGHT. Specific tools are provided for selecting the areas on which fabric designs are intended to be texture mapped and the strong algorithms of Design 3D create the 3rd dimension from the image and provide the depth information to convert these 2 dimensional images into 3 D surfaces. Powerful tools are provided, which allow the user to edit the wire mesh created to enhance the depth grids create by Design 3D. Multiple grids can be created for different areas viz. Cushions, Back, Armrest, etc from a scanned image of a Sofa seating system. The grid points can be individually manipulated OR multiple grid points can be simultaneously arranged as required. Facilities to rotate the grids, Add folds and a host of other features enable the user to Screen Author an image. Screen Authoring is a one-time operation and Design 3D saves the image as a .3DP file in the library for future Texture mapping. Drag and drop your designs on the image to create fascinating and realistic 3D Texture Mapping. With tools like Wrap Around, you can move the draped texture to set it at the right angles, which ensures a life-like appearance. 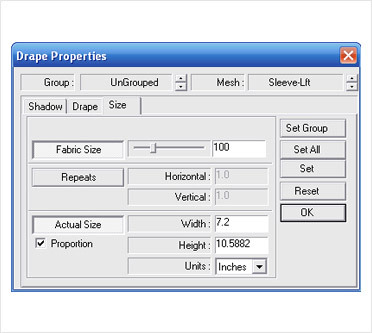 Dimension of the 3D object can be defined so that the fabric size mapped is in proportion and numbers of repeats are automatically managed. Thus, you get a glitch-free simulation with the 3D Design Software. Gives the user access to the powerful functionality of creating virtual mapping and selections. An intelligent Library management feature called ATLAS graphically maintains the 3DP images into unique subjects i.e. Interior, Curtains, Beds, Models, Men or Women wear, Table Linen, etc. Atlas also maintain Fabric Designs as different collections - floral, historic, geometric, abstract, modern, etc. Easy accessibility and touch screen interface allows the user to switch between the different 3DP files or design images. Point & Click / touch screen functionality is provided to enable the user to select the desired 3DP file, which is loaded on the main application window. Further the fabric collection can be loaded for texture mapping in the atlas. The desired fabric design is 3 dimensionally texture mapped in real time by simple drag and drop functionality. The powerful rendering engine of Design 3D maps the design considering the depth dimensions generated by the grids created in the Screen authoring module, it also combines the Light and shadow information to create excellent presentation. These 3 D texture mapped images can be saved in Windows standard file formats and can be sent to customers over the NET or stored in CD's for creating presentations. The images can be printed onto paper or transfer to pre-press advertising companies for generation of Advertisement material such as Packing In-Lays, Posters, etc. An intelligent Library management feature, ATLAS graphically categorises the 3DP images into unique themes such as interior, curtains, beds, models, men or women wear, table linen, etc. Hence, the 3D design software eliminates the hassle of manual categorisation. Atlas also manages various parameters of fabric designs as different collections - plaids, stripes, floral, historic, geometric, abstract, modern, etc. for subsequent retrieval. Smart Slider hosts additional functionality to enhance the presentation post-draping and visualise the effect online in the 3D environment image. Change the dimension of the design. Heighten visual effects by fine tuning lightness of fabric, textures, etc. Instantly try out different colour ways of the design online.